We can’t tell you how THRILLED we are to be voted Best Of Thomasville for Womens Clothing for the second year in a row!!! Thank you to all who voted to make this happen!! 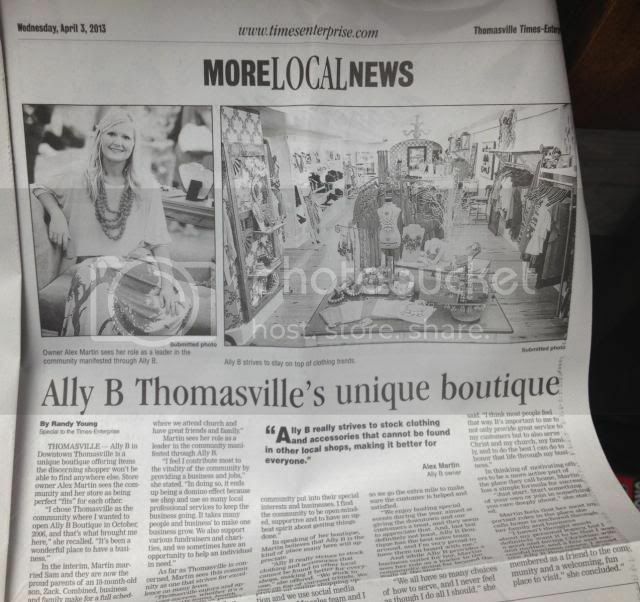 We were so pleased and excited that the Times Enterprise chose to do an article on Ally B.